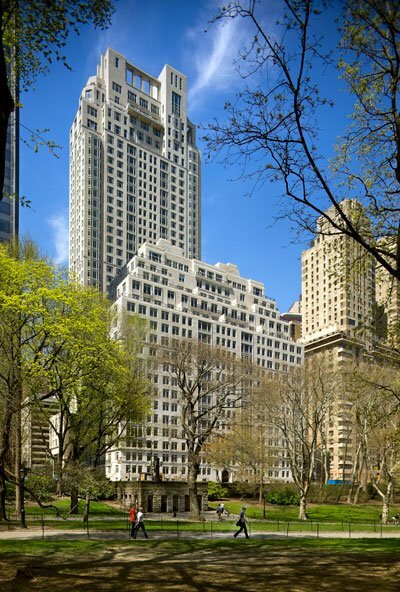 This Upper East Side condominium tower was completed in 1999. 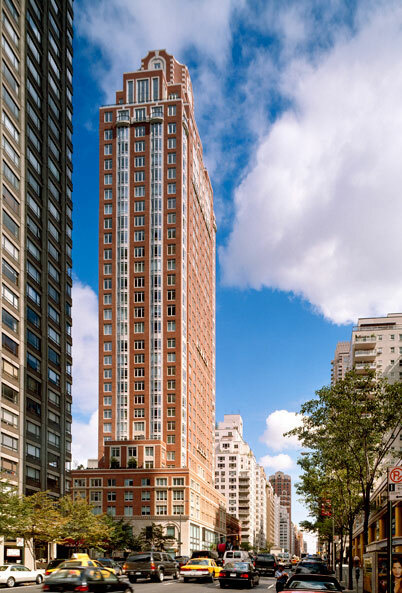 The red-brick and limestone façade, French balconies, and bay windows evoke the luxury apartment buildings along Park Avenue. The Chatham stands thirty-two stories high, beginning with a two-storey limestone base housing retail, and then narrowing in a series of setbacks to reveal a lantern at the apex. 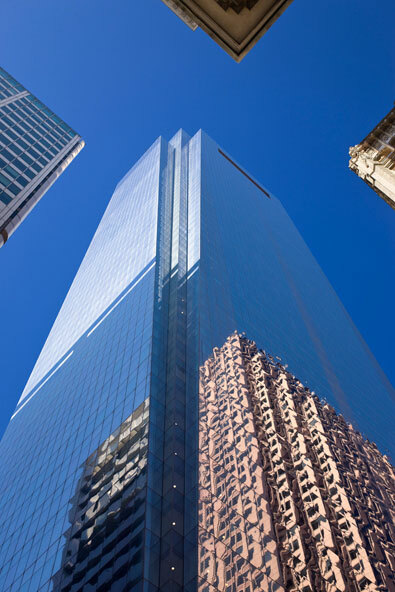 Standing 975 feet and 58 stories tall, the modernist Comcast Center is the tallest building in Philadelphia and the tallest green building in the country. It is the 1.25 million square foot headquarters of the Comcast Corporation. The public lobby features the Comcast Experience Video Wall. The Video Wall offers original programming 18 hours a day with 10 million pixels of clarity, five times the resolution of hi-definition TV. 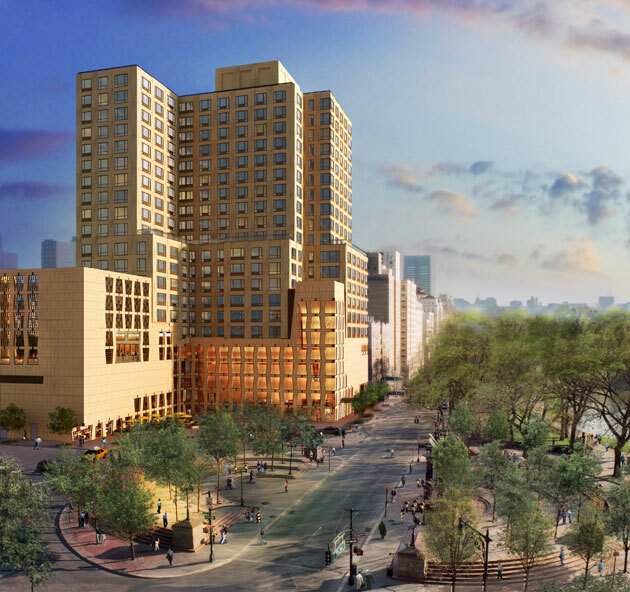 At the northeast corner of Central Park, it is the first museum on New Yorks Museum Mile. The trapezoidal windows and aluminum mullions were patterned after woven designs found in African basketry and have become the museums iconic signature. 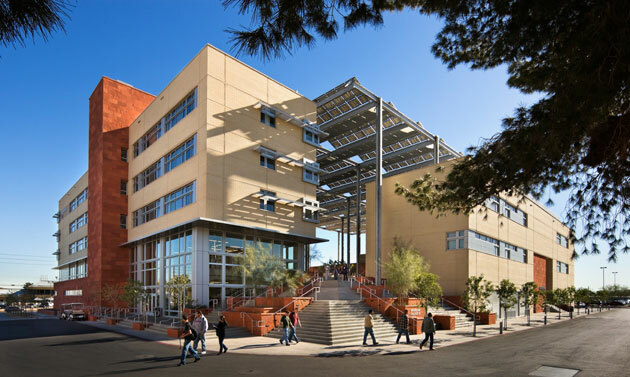 Greenspun Hall is home to the Greenspun College of Urban Affairs at the University of Nevada Las Vegas. The design mirrors the campus existing buildings and encourages collegiality with a large open communal space. The structure Staircases rise to a courtyard shaded by a canopy which diffuses the harsh desert sun. 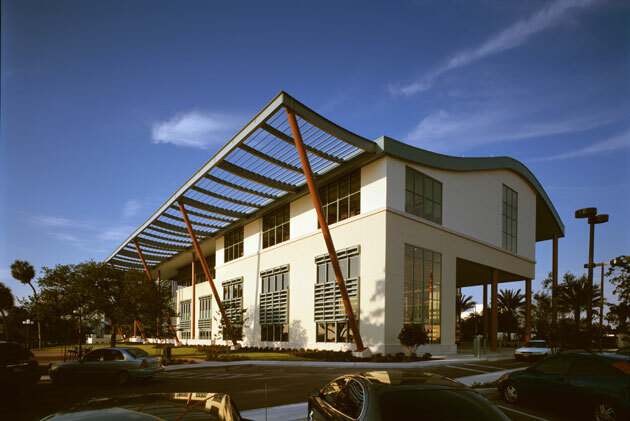 The Clearwater Public Library is a 90,000 square foot building that makes the most of the Florida sun. It was designed to minimize the need for artificial lighting. 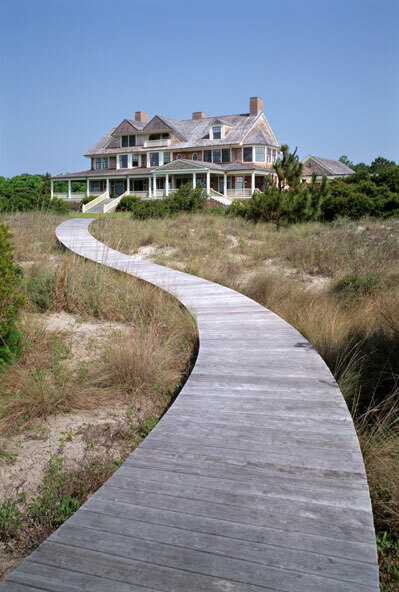 Its roofline is a playful reference to the waves rolling in off the nearby Gulf of Mexico. And the canopies on either side of the building are supported by columns that are made to feel like tent poles. It was opened in 2004 and serves a community of slightly more than 100,000 people in the Tampa  St. Petersburg - Clearwater area. 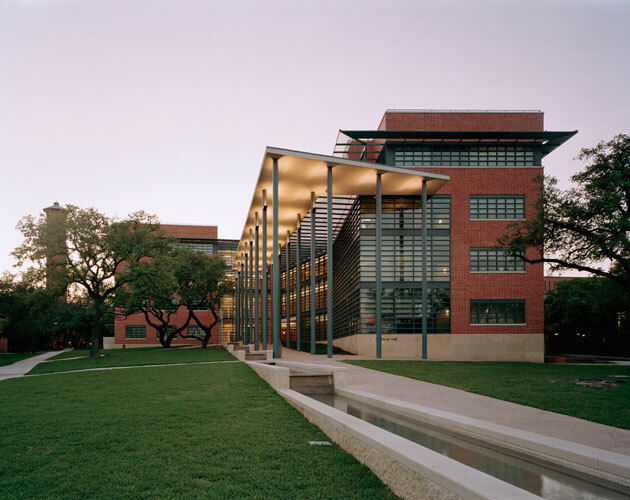 Northrup Hall at Trinity University in San Antonio, Texas houses the English Department as well as administrative offices. Northrup Hall is an example of Sterns contextualism at work. Its brick-clad exterior, striking glass wall and dramatic canopy echo the 1950s American modernism of the rest of the campus. Stern says With Modern Traditionalism, one can mine the local cultures, can one dig in, can one speak the local languages of architecture in a fresh way. You can still have buildings that resonate to place, which is what traditional vernaculars are embedded in; the local soils of places. 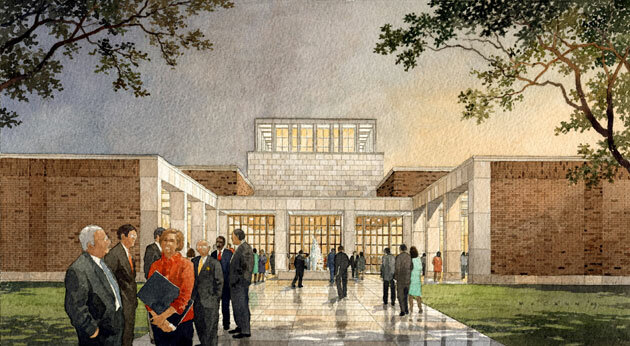 Southern Methodist University in Dallas, Texas is the proposed site for The George W. Bush Presidential Center. The architectural plans call for it to mirror the campus Georgian-style architecture, a style typical of many college and university campuses. The designs also include a lantern at the top of Freedom Hall visible throughout the city of Dallas, as well as a rose garden inspired by the White House Rose Garden in Washington, D.C.